Part II: The Landlord Experience. If you care about pet-friendly housing, this matters. The pet-friendly housing shortage in the SF Bay Area and most other cities has been crushing our collective ability to keep family dogs in safe, permanent homes and out of animal shelters. 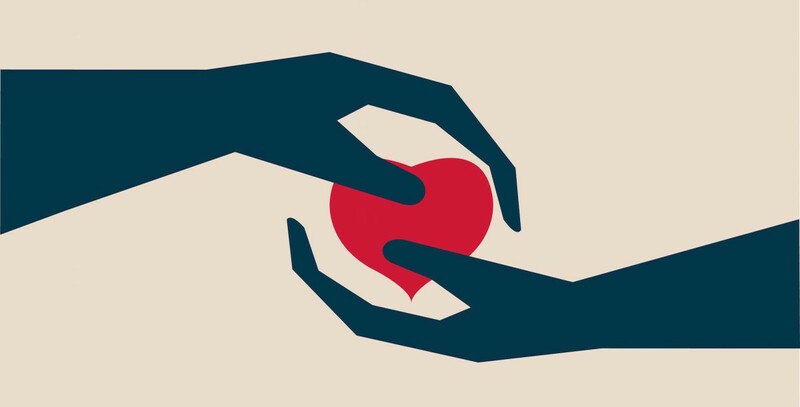 Understanding the landlord experience is essential to navigating this trend, but the most recent research we could find on the topic is outdated (Firepaw Study 2005). The landscape has changed quite a bit since that study was published, so we decided to get busy over the past year by speaking with as many different property managers as we could in order to gain some perspective. 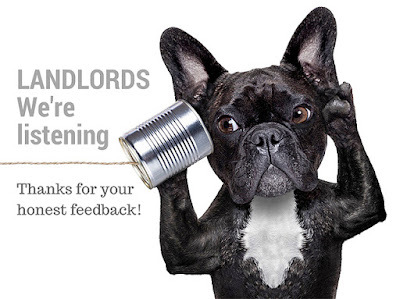 In addition to phone interviews and email exchanges, we gathered responses from landlords in a twelve question survey that was shared around by local realtors and via our social media page. Our goal was to daylight some of the key factors that influence landlord decisions when accepting or rejecting dogs in their rental properties. Participants were asked to share their insurance providers, dog breed and/or size restrictions, requirements for dogs and dog owners, yard and shared space usage and obstacles they faced (if any) when making their decisions. We also asked them to describe both positive and negative experiences with renting to dog owners. Finally, all were asked to indicate whether they would be interested in participating in more discussion in our search for solutions to the pet friendly housing shortage. (23% said 'yes,' 55% declined and 21% are on the fence.) To encourage candid survey responses, we agreed to keep landlord identity confidential. Our burning question behind these efforts: What prevents some landlords from renting to dog owners? And what can we learn from landlords who DO welcome them? People were very generous with their time and seemed to appreciate our interest. Their responses were rich with inside info and gave us a good grasp of some of the key factors that contribute to pet policy decisions. Here's the thing: While a small number of the participants did not allow dogs on their properties, the majority who did expressed a strong desire to improve their pet policies to ensure a better overall success rate with dog owners. Hopeful, right? We think so too. Learn from the negative, build on the positive. Of the 69 who responded to our survey, 45 rent to dog owners, 19 accept dogs on a case-by-case basis and three ban dogs outright. Not surprising, the majority who allow dogs are those who rent out single family homes (37) and/or duplexes or triplexes (26). Ten participants counted their rental spaces as 'other' - which included RVs and non-conforming apartments. All but ten property owners reported having fenced yards or patios available for dogs, although a number preferred that tenants not use them as the dogs' main bathroom. Multi-unit building managers heard from. Eleven in total. We were so happy they shared. Five told us they allow dogs, five allow them on a case-by-case basis and one does not allow them at all. Nine of the 11 multi-unit managers who responded do not have breed restrictions. They're an important group because multi-unit buildings have traditionally held the biggest resistance to pets - targeted breeds in particular. Interested to hear what their experience with pets has been? You should be! Read HERE. What do property owners worry about? ... Their property! 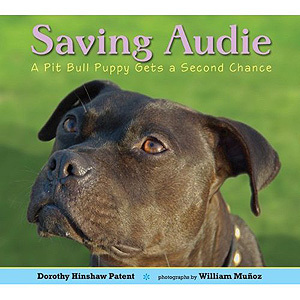 Hands down, the number one concern expressed by landlords came from having experienced property damage and/or nuisance noise from dogs – regardless of breed type. 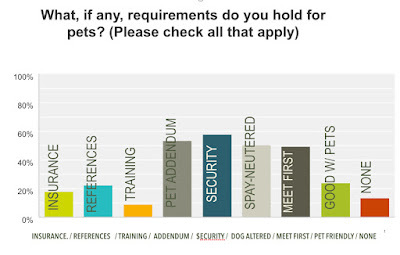 From our blog post 'Bad Apples' - Only three of the landlords we polled mentioned insurance as a potential obstacle to renting to pit bulls and other dogs, and only one had breed restrictions (no reason given). Almost all reported the need for expensive and time consuming repairs after dog owners moved out and/or dogs who disturbed neighbors with noise. 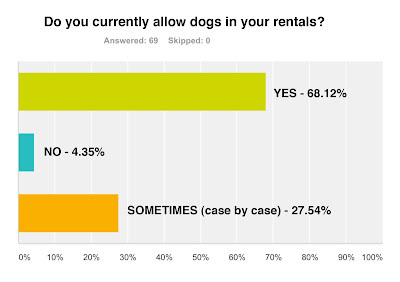 One of the happier surprises to us was that most of the survey participants who reported negative experiences still welcome dogs in their rentals. We have renewed faith that a good number of landlords care about their communities and want responsible dog owners to enjoy a lifetime commitment to their family companions. How do we identify and support them so their numbers grow? We've only scratched the surface of this topic, and it's clear we have a long way to go before more landlords feel comfortable opening their doors to dog owners. Landlords, renters, animal welfare workers: Please join this conversation so we can start to meet the needs of both the landlords who want responsible tenants and the pet owners who so desperately need a place to call home. GRATITUDE: Many thanks to everyone who shared their experiences with us. Below: A little gallery of insightful feedback from some of the landlords and the pet owners who shared their experiences with us.